We've all seen them. The "For Sale" signs realtor place in yards are commonplace. The signs typically take the same shape but come in a variety of colors and usually display contact information of the realtor. One company, however, is claiming the use of the color pink on these signs is its trademark and is seeking a federal trademark registration for the same. 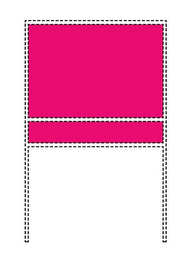 On July 24th, the appropriately named Pink Realty, Inc. filed a federal trademark application for the "color pink as shown in the attached image." The application covers a variety of real estate services in Class 36, including "real estate agencies" and "real estate brokerage." According to the application, Pink Realty, Inc. has been using the color pink on these signs since November 22, 2009. The dotted lines are not part of the mark, but rather "inform the viewer where and how color is used on the product or product package, while at the same time making it clear that the shape of the product, or the shape of the product package, is not claimed as part of the mark." TMEP 1202.05(d)(i). Is it possible to claim a color as a trademark and obtain federal registration for it? Yes. UPS, for example, owns a registration for the color brown. But obtaining a color registration is not easy. To start, color marks are never inherently distinctive. Wal-Mart Stores, Inc. v. Samara Bros., 529 U.S. 205, 211-12 (2000). A showing of acquired distinctiveness is always required to obtain a registration, and making that showing is difficult in the context of color marks. TMEP 1202.05(a). In other words, an applicant for a color mark must demonstrate that its use of the color identifies it as the source of the good or services in the mind of consumers (i.e., when consumers see color being used in the way the applicant is using it, they associate it with the applicant). For example, when most people see a brown delivery truck, they know it's a UPS truck. Additionally, colors that are functional cannot be registered as trademarks. See Qualitex Co. v. Jacobson Prods. Co., 514 U.S. 159, 165-66 (1995). Colors may be considered functional if they yield "a utilitarian or functional advantage, for example, yellow or orange for safety signs." TMEP 1202.05(b). Additionally, if a specific color is the natural by-product of a manufacturing process, that color may be considered functional ("In such a case, appropriation of the color by a single party would place others at a competitive disadvantage by requiring them to alter the manufacturing process."). Id. Does the color pink on "For Sale" signs lend a utilitarian or functional advantage? Does it make the sign easier to see and, if so, is that a utilitarian or functional advantage? If the applicant can cross that hurdle, it will need to make a strong showing that its use of the color pink has acquired distinctiveness in the marketplace before it can obtain a registration. 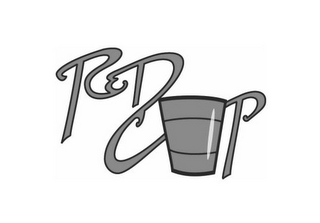 Can Pink Realty obtain the rare color mark registration? Keep an eye on this application to find out. When HBO announced a new alternate history drama based on the southern states' successful secession from the union, it drew some controversy. But that didn't stop HBO from filing two applications to register the show's title as a federal trademark a couple days later. Entertainment services in the nature of a television series in the field of drama; providing entertainment information, news and commentary via an on-line global computer network; interactive online entertainment in the nature of a website containing non-downloadable photographic, video, audio and prose presentations, and video clips featuring content from or related to a television series in the field of drama (Class 41). HBO filed the applications on an intent to use basis, suggesting it is not using the mark in commerce with the listed goods and services yet, but has a bona fide intention to do so in the near future (which makes sense considering the show has not yet aired). TMEP 806.01(b); 15 USC 1051(b). Before the marks can register (assuming the examination process goes smoothly), HBO will need to start using the CONFEDERATE mark in interstate commerce in conjunction with the listed services (which may, or may not, happen given the controversy). TMEP 1103; 15 USC 1051(c)-(d). According to reports, production of Confederate will begin after the final season of Game of Thrones (the Game of Thrones creators are teaming up with HBO to create Confederate). Are JALAPENO MAC BITES Merely Descriptive of Macaroni and Cheese Bite Sized Nuggets Filed with Jalapenos? A delicious but possibly descriptive trademark application was filed on July 19th by a Florida company called Mac and Cheese Holdings, LLC (ed. - sounds like a great place to work). On that date, the company filed a federal trademark application for JALAPENO MAC BITES covering "macaroni and cheese bite sized nuggets filled with jalapenos and cream cheese and other cheeses and coated in breadcrumbs and baked" in Class 30. The company filed the application on an intent to use basis, suggesting it is not selling these bites yet but has a bona fide intention to do so in the near future. TMEP 806.01(b); 15 USC 1051(b). Delicious, but is it merely descriptive of the underlying goods? Under Section 2(e)(1) of the Lanham Act, marks that merely describe the underlying goods or services are not registerable on the Principal Register (where you want to be) of the U.S. Patent and Trademark Office without a showing of acquired distinctiveness (which is very difficult to show with an intent to use application). According to TMEP 1209.01(b), "a mark is considered merely descriptive if it describes an ingredient, quality, characteristic, function, feature, purpose, or use of the specified goods or services." Even if a mark does not describe every purpose, feature, function, etc., it can still be merely descriptive if it describes one significant function, attribute, or property of the goods or services. Id. What do you think? Does JALAPENO MAC BITES merely describe an ingredient, quality, characteristic, function, feature, purpose, or use of macaroni and cheese bite sized nuggets filled with jalapenos and cream cheese and other cheeses and coated in breadcrumbs and baked? Or is it only suggestive of the goods in that it requires "imagination, thought, or perception to reach a conclusion as to the nature of those goods..." (and therefore can be registered on the Principal Register without a showing of acquired distinctiveness)? See TMEP 1209.01(a). Keep an eye on this application and see what the Examining Attorney thinks in about three months when the application is examined. It looks like you'll have to go through Warner Bros. Entertainment, Inc. if you want to use the Hufflepuff or Gryfinndor emblems as trademarks. On July 17, the company filed applications to register the emblems seen below as trademarks with the U.S. Patent and Trademark Office. Watches; cufflinks; jewelry, namely bracelets, rings, earrings and brooches; ornamental pins; key rings (trinkets or fobs) (Class 14). Warner Bros. filed all these applications on an intent to use basis, suggesting (but not necessarily meaning) they are not using these marks in conjunction with the listed goods yet but have a bona fide intention to do so in the near future. TMEP 806.01(b); 15 USC 1051(b). I'm not a Harry Potter guy, but aren't there more than two houses? According to my quick search, these are the only emblems filed by Warner Bros. (in 2017 at least) related to Harry Potter, but maybe the other emblems are coming soon. Determining whether Warner Bros. owns a registration takes some work, however, considering the company owns 956 active trademark applications or registrations with the USPTO, including several standard character mark applications for the house names (and that doesn't include unregistered, common law trademarks). Earlier this year, Warner Bros. filed several applications for BUTTERBEER covering a variety of goods ranging from clothing items to dessert puddings to watches. Labels: gryffindor, harry potter, hufflepuff, trademarks, warner bros.
Virgin Enterprises Files Trademark Applications Covering "Space Travel Passenger Transportation Services"
Trademark applications covering space travel aren't that common, but they are starting to pop up more and more. For example, last summer I blogged about Paul Allen's Vulcan Space. The most recent applications, however, are from Richard Branson's Virgin Enterprises. 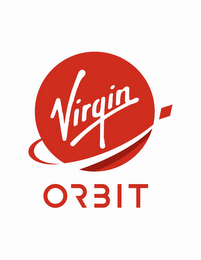 On July 13th, Virgin Enterprises filed two applications with the U.S. Patent and Trademark Office to register the Virgin Orbit logo (one seen below and the other the same thing but against a black background) as a trademark. The applications are based on similar trademark applications Virgin Enterprises filed in the United Kingdom on May 12, 2017. They appear to be related to Virgin Orbit (obviously), the newest member of the Virgin family. Interestingly, these are not the first space travel-related trademark applications filed by Virgin Enterprises. Earlier this year, the company filed an application for VIRGIN ORBIT in standard characters covering the same goods and services listed in the logo applications. 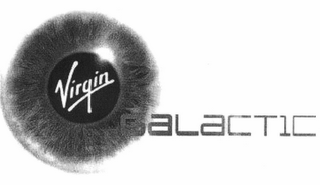 Additionally, the company has owned a trademark registration for the Virgin Galactic logo seen below, covering "Travel agency services, namely, making reservations and bookings for transportation, space travel agency services; namely, booking of transportation into space" since November 2008. Virgin filed several other trademark applications for variations of the Virgin Galactic logo back in 2014 and 2015 as well. None of those applications have registered yet, probably because Virgin Galactic does not appear to be using those variations of the logo in commerce and such use is required before the applications can mature into a registration given the intent to use filing basis. See TMEP 902. According to my very quick search, Virgin and Vulcan appear to be the only companies with active trademark applications or registrations covering the transportation of passengers into space, save for one registration covering a spacecraft logo owned by an Excalibur Almaz Limited corporation on the Isle of Man. A couple weeks ago it was Beyonce filing applications for the names of her and JAY Z's twins, now it's JAY Z's turn. 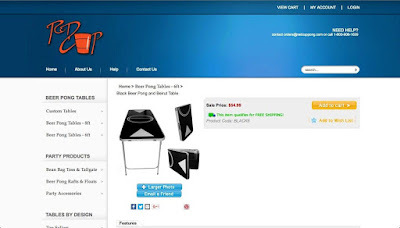 On July 6th, S. Carter Enterprises, LLC (a company associated with JAY Z) filed fifteen applications to register JAYBO as a federal trademark with the U.S. Patent and Trademark Office. According to my quick research, Jaybo is an animated character in the music video for "The Story of O.J.," a song released as part of JAY Z's new 4:44 album. The full video is available on YouTube. 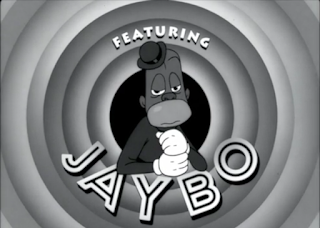 In the video, JAY Z highlights a long history of racist cartoons from major animation studios, including Disney and Warner Bros.
Cosmetics; cologne; toothpaste, deodorant (Class 3). Each application was filed on an intent to use basis, suggesting S. Carter Enterprises is not using JAYBO in commerce with these goods and services yet but has a bona fide intention to do so in the near future. TMEP 806.01(b); 15 USC 1051(b). It also means the company must actually start using JAYBO with the listed goods and services before the applications will mature into trademark registrations. TMEP 902; 15 USC 1051(c)-(d). If you're a JAY Z fan, keep an eye out for JAYBO merchandise, potentially coming soon.